Fred Astaire (May 10, 1899 – June 22, 1987) is arguably one of the greatest entertainers of all time. His career lasted over seven decades and was enjoyed by young and old alike. He performed with such other great leading ladies as Ginger Rogers and Grace Kelly. He not only danced, but acted and sang as well. He escaped the "Hollywood" lifestyle and proved it was possible to be a well rounded, compassionate, family oriented person. His work was always excellently performed, his life tailored to excel as well. As a performer, he pushed himself to the limit, and is someone who is definite role model material. Wikipedia may not be the most legitimate source, but Asatire's history is broken down into sections, which make it easier to find the information the reader is looking for. His life and career, working methods, influence, awards, and personal life are discussed. The awards section alone shows just how high his talent was regarded. 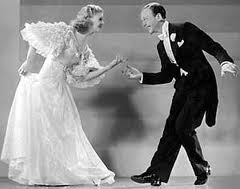 This is a link from You Tube to see Ginger Rogers perform with Astaire. The performed to "Swing Time" and it shows the mass amount of talent and showmanship he had as a performer. His tap dancing ability is amazing. This link is from the Encyclopedia Britannica. This link is very helpful because it includes other references regarding Astaire. His passion and insistence for the camera to follow each move is discussed. Dale Chihuly is a legendary name in the contemporary art and design world, and arguably one of the most influential artists in glass working history. To say his studio glass work is internationally celebrated is an exceptional understatement—his achievements have been honored with such distinguished awards ranging from ten honorary doctorates to two fellowships from the National Endowment for the Arts, among dozens of others. His work is included in more than 200 hundred museum collections worldwide, and ranges from glass-blown small vessels to massive room installations to drawings and prints. 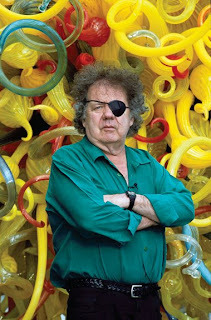 Originally hailing from Tacoma, Washington, Chihuly began his career in the late 1960’s, within the span of his extensive education at the University of Washington, University of Wisconsin, Rhode Island School of Design (RISD), and his work at the Venini glass factory in Venice on a Fullbright Fellowship. Chihuly has also contributed to the art education world through his work as an instructor at the RISD (where he founded a glass program), the Pilchuck Glass School in Washington State, and the continuing writings, demonstrations, and classes he offers to the glass community. The official Dale Chihuly website, a full spectrum of information is available. His full biography, artist history, current and archived artwork, and upcoming exhibit and installation information is available. Hosten Galleries is a virtual glass art gallery that showcases the some of the world’s leading contemporary glass artists. 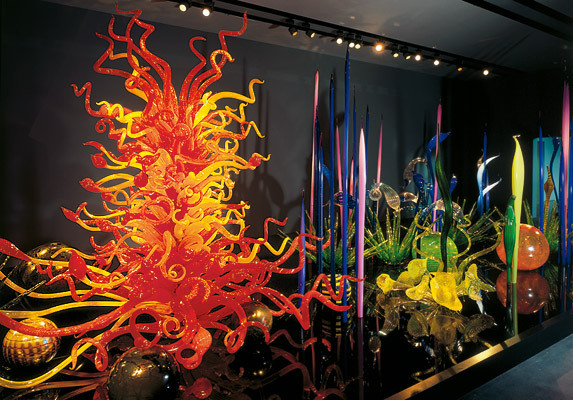 Dale Chihuly is featured for his studio art, installations, chandeliers, prints and drawings. A concise biography is also presented. This online retailer exclusively sells Dale Chihuly work, from studio work to miscellaneous merchandise such as postcards, calendars, apparel, and sketchbooks. Books, stationary and DVD’s are available for purchase as well. 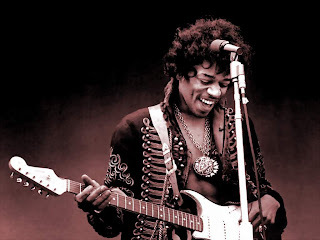 Jimi Hendrix, born in Seattle, isrecognized as arguably one of the most influential musicians of the 20th century. Hendrix is most recognized for pushing the limits of the electric guitar to new and innovative levels, creating sounds and musical forms that had never been heard before. Perhaps most impressive was that Hendrix rose to prominence in the music scene in just four years. He is also remembered for his unique fashion sense, and his habitual use of psychedelic drugs. It was his drug habit that led to his early death at the age of 27. His gravesite and memorial is located in Renton, Washington. On a personal note Jimi Hendrix has had an impact on my as a fan of his personally and also the subsequent bands and musicians that have been influenced by his progression of the musical scene both locally and around the world. This link takes you to the main Jimi Hendrix website where you can not only get information about Jimi’s life and music career, but also view different videos and various media about Jimi. Additionally there are events displayed, news involving Hendrix, and various musicand merchandise available for purchase. This link will take you to the official Jimi Hendrix memorial project website. This website gives people information concerning the Jimi Hendrix memorial located close to Seattle, as well as relevant news and information about the memorial. It also gives history of the memorial and a background about the inspiration of the website. This website gives people information about Jimi Hendrix and his being inducted in the Rock and Roll Hall of Fame. It also gives users samples of music performed by Jimi Hendrix. Audrey Hepburn (May 4, 1929 – January 20, 1993) is one of the world's most beloved actresses, fashion icons, and most importantly, humanitarians. Born in Belguim, she spent the majority of her childhood in German-occupied Arnhem, Netherlands during World War II. During this time she not only honed her skills as a ballerina, raising funds for the Dutch resistance while secretly performing for groups of people; but also saw and experienced intense suffering when the Germans blocked the supply lines into the city. On Hepburn's 16th birthday, the country was liberated, but the damage had already been done. Hepburn was already suffering from malnutrition, anemia, and asthma; when the United Nations Relief and Rehabilitation Administration arrived with much needed food. It was these tragic experiences that led to her tireless dedication and lifetime devotion to UNICEF, to which she was named International Goodwill Ambassador in 1988. 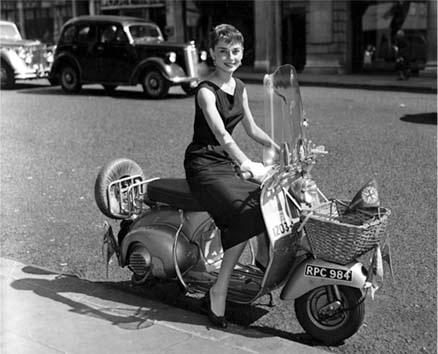 Hepburn's career spanned more than forty years, ranging from screen to stage, as well as television. Her credits include appearances in 28 films, five television credits which include Gardens of the World with Audrey Hepburn for which she won an Emmy for Outstanding Individual Achievement – Information Programming, and five theater credits that also included a Tony Award for Best Performance by a Leading Actress in a Play for her portrayal of the lead character in Ondine. Hepburn was also nominated and won numerous Academy Awards for Best Actress,Emmy Awards, Golden Globe Awards, Grammy Awards, Screen Actors Guild Awards, BAFTA Awards, and New York Film Critic Awards throughout her career, and did in fact take home the Academy Award for Best Actress for her portrayal of Princess Ann in Roman Holiday. The American Film Institute named Hepburn third among the Greatest Female Stars of All Time. Hepburn is also considered a fashion icon of the ages. She has appeared on the cover of Vogue and Haper's Bazaar, as well as TIME. 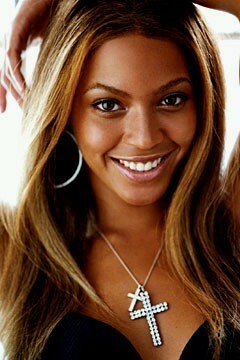 She was even voted “The Most Beautiful Woman of All Time” posthumously in 2004, by a panel of beauty experts by Evian. While she is considered a natural beauty, her style was made famous by her partnership with courturier Hubert de Givenchy, who originally met her when he designed the costumes for Sabrina. Though they initially did not get along, they became lifelong friends, as she became an ambassador of his clothing and is largely considered to be his muse. 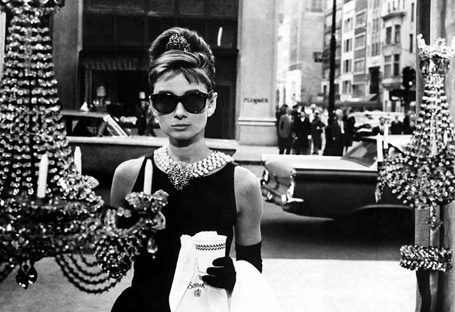 Givenchy was also the designer of the timeless article of clothing that she made famous the world over: the iconic “little black dress” that was seen in Breakfast at Tiffany's. http://www.audreyhepburn.com/ Audrey Hepburn's Official Site – Includes information about her life, her career, photos not usually seen, and her continued humanitarian work through her aide organization: Children's Fund. http://en.wikipedia.org/wiki/Audrey_Hepburn The wikipedia site that contains highlights/overview of her life. Includes links to her work, quotes that are attributed to her, as well as some screen shots from her films. http://www.audreyhepburnlibrary.com/ Interesting collection of published photos, newspaper, and magazine articles from around the world. A number of these are in varying international languages, proving just how much of an international icon Audrey Hepburn is. 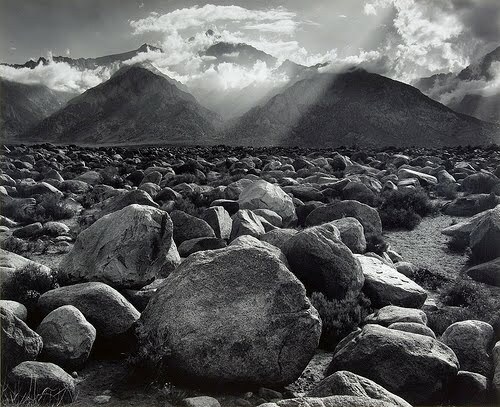 Ansel Adams will go down in history as one of the most incredible and inspirational photographers and environmentalists of all time. Crediting his success to his activity in the Sierra Club, Adams spent his live being infatuated by nature and the environment. He began working in the club in 1919 and was able to capture wildlife in its most raw form. His photographs were first shown in the Club's bulletin in 1922 and that ultimately launched his career. Adam's is most well known for his "straight photography," which means his photos show absolute no sign of dark room manipulation. To this day he is known as the "mast articulate and insistent champion" of straight photography. Contrary to most other professions, Adams didn't work for money. Throughout the beginning of his career he was very poor and his drive came only from passion. By looking at Adam's work, it's near impossible to not be in awe of the representation of nature and clarity in his work. The details and visibility in each piece make the picture come alive to the viewer. Purposefully lacking in human appearance, each photo gives the feeling of complete solitary peacefulness and purity. Ansel Adam's work will continue to live in infamy and is proof that there is nothing more beautiful and simple than nature. This website gives a detailed biography of Adams as well as holds the archive to all of his work. You can view each individual piece as well as purchase. Ansel Adams was very active in the Sierra Club and this link gives an explanation of Adam's participation in the club as well as gives information about the club itself. This is a link to a complete list of Adams photos from all the states he traveled to. This list is organized by state. Chris Jordan, also known as the "it" artist of the green movement, is an artist whose large-scale work portrays consumption and waste in our lives. He was born and grew up in Connecticut, then moved to Texas and began spending all of his free time working on photography. Jordan later moved to Seattle, and after ten years of practicing law, he resigned in order to be a full time photographer. His work became an instant hit. Most of his art is made from pictures of mass consumption and garbage. His love for conservation is easily shown in his work and he is trying to spread awareness by using every day items, such as paper cups and soda cans, to reveal the unknowns of consumerism. I think that not only is his work extremely well done, but it is also informative and makes the viewer think about the things they waste daily. http://seattletimes.nwsource.com/html/pacificnw/2009076640_pacificfootcover19.html - Here is a link to an article about him, his work, and how it is benefitial. http://www.chrisjordan.com/gallery/rtn/#moon - This link goes to his website of some of his work that shows the numbers of certain items used in our lives. http://chrisjordan.com/gallery/midway/#CF000700%2016x21 - This portion of his site has photos of decayed birds. It reveals what has been in their stomaches that killed them, and shows the garbage that ends up being consumed by the wild. Conor Oberst is a singer/song-writer from Omaha, Nebraska. Conor’s lyrical genius is what inspires me most about him. He has the ability to put words to complex emotions that usually go unnamed. 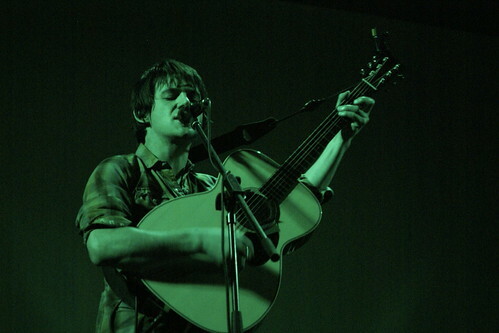 He performs as a solo artist, as well as in the bands Bright Eyes, Monsters of Folk, Conor Oberst and the Mystic Valley Band, and Desaparecidos. Oberst has been writing music since he was 12 years-old, and it's obvious when one listens to his recordings. He is an extremely talented guitar musician and knows how to create a variety of different sounds which is displayed in each of the different bands he performs in, and from album to album. His voice is somber yet comforting, delivering his words and emotion in exactly the right way. One of my favorite things about Conor is that he probably has written a lyric for just about every emotion in the book, and each and every one of them in quote-worthy. http://www.conoroberst.com/ - Here is a link where live videos of performances, music videos, a schedule of upcoming shows, and merchandise can be found. http://www.npr.org/templates/story/story.php?storyId=4285614 – On this link, one can click to listen to a NPR interview with Conor which incorporates sound bites of his music and gives a more personal view into him and his music. There are also links to two of his songs for further listening. http://www.last.fm/music/Conor+Oberst – This includes a short biography and information about his musical career, 88 photographs of Conor, links to his albums, similar artists, and comments from fans. Tinker Hatfield is known throughout the sneaker world as the greatest man to ever live. Tinker Hatfield was born into the sports world with his parents being coaches and siblings who ended up coaching or marrying a coach. Hatfield was made into a superior athlete setting track records at University of Oregon before an injury sidelined him. The greatest shoe designer the world has ever seen actually graduated University of Oregon with an Architecture degree. After an attempt at the Olympic Trials. Tinker Hatfield practiced architecture in Eugene and was later hired by Nike as an architect. Later Hatfield began designing shoes that gained global success. Hatfield designed running and training shoes such as the Air Max series, Air Trainers, Air Huarache series, and more. These shoes are sold in millions of store all over the world today as each year brings better and newer technology for runners worldwide. Tinker Hatfield is probably best known for the shoes he designed for the greatest basketball player to step on and off a court, Michael Jordan. Not only did Hatfield design one-of-a-kind shoes for the player, but ultimately keep Jordan with Nike as after his first 2 signature shoes, Jordan wanted to leave and sign with Converse. Tinker Hatfield first assignment was to design the Air Jordan III, which are still one of the most popular signature Jordan shoes seen today. Hatfield would later go on to design Jordan's III-XV and come back to design the Jordan XXIII and 2010 shoes. Tinker Hatfield captured not only Jordan's eye, but the eye of thousands of sneaker fans worldwide. Hatfield did not design shoes the conventional way, but practical and stylish. The Jordan series can be worn on and off the court and still give players that edge they desire to be better basketball players. The Jordan Brand would become one of the best selling shoes series today. The Jordan series was not the last of Hatfield's last masterpiece. Tinker Hatfield early in his career was asked to design futuristic shoes that would be previewed in a time-based movie in the late 1980's. That movie series became one of America's all time greatest series and help Michael J. Fox be one of the most beloved actors today and of all time. Tinker Hatfield designed the Nike shoes worn by Fox in Back to the Future II that included the automatic lacing feature. Whether or not the shoes actually could automatically lace, there was a high demand for Nike to recreate the shoe and sell to the public. It was not until early September of this year, when almost overnight, Hatfield and the staff released news of redesigning the shoes, but also selling them to the public. This took place over an eBay auction selling the limited numbered shoes with all proceeds going to the Michael J. Fox Foundation with Google matching the total amount the shoes sold for eventually doubling the amount given to the foundation. Tinker Hatfield took over 5 years to redesign every detail into the Nike Air Mag 2011 shoes to try and recreate that iconic Nike shoes seen in Back to the Future II. Everything from the material to the colors, and lights have been put into the shoes that also coming with a charger for the LED lights. Tinker Hatfield did not only design once, but twice the greatest shoes the world has ever seen that ended up selling for thousands a pair. Tinker Hatfield already made himself legendary by designing the Jordan series and such iconic shoes such as the Air Max and Air Trainers. Tinker Hatfield does not only design shoes, but recently designed the new Matthew Knight Arena's basketball floor. Hatfield will forever be remembered by designing the Nike Air Mag shoes that have been rumored to be re-released in 2015 with an automatic lacing feature seen in the movie in the same year that it took place. Tinker Hatfield career is not done yet, as the Vice President of Creative Design at Nike's "Innovation Kitchen" works to build and improve shoes for the years to come. The sneaker world holds their breathe to witness the next great pair of shoes to ever be designed by the legendary Tinker Hatfield. For anything and all things sneaker related can be found on Sneaker News. For Tinker Hatfield, the site pays their respects to the great designer and have nothing, but good things to say about Hatfield. From latest Jordan releases to any designs by Hatfield or related to any of his previous work is properly cited and recognizes all the designer has done. This University of Oregon article can be found under the School of Architecture and Allied Arts where Tinker Hatfield attended. This article give a brief background to Tinker Hatfield's life and career. The school posts the article of one of their most successful alumni and even work in the same state. The posting found on this site goes through the release and information needed to know about the Nike Air Mag 2011 release. From all the advertisement and hype, the article explains all the effort Tinker Hatfield and Nike did to release the shoes. Pictures and videos from the event are found on this page along with some commercials and YouTube videos. Michael J. Fox is makes an appearance to explain his part in what probably is the greatest release of all time. The artist known as Julian Beever has been referred to as the “Pavement Picasso”. This nickname is well deserved because the imagery and realism captured by his chalk art is second to none. I am fascinated and inspired by this artists take on perspective. He uses the sidewalk as his medium, and chalk is his preferred artistic tool. Each one of his 3D chalk images takes an average of three days. He must maintain focus while battling elements such as crowds, and extreme weather conditions. I respect this artist for the amount of time and attention to detail spent for each image. In order to achieve perfection he uses a camera mounted on a bipod in a specific location to ensure the image appears three dimensional. He then spends a large portion of his time alternating between drawings and peering through the bipod camera to ensure the image is proportional. The amount of time and energy spent on these images is commendable and fascinating, however, the reasons for creating his art is inspiring. Julian believes that his art is for everyone. Instead of being placed in an art gallery targeted for a specific audience his art is presented on crowded busy streets. In several of his images an audience member is a part of the three dimensional image. In fact, without the involvement of the person the image would not be as fascinating. The incorporation of audience and his altruistic nature toward his art is a true inspiration. Julian’s art is compared to graffiti, but I believe it is something much different. Perhaps the most fascinating aspect of his art is that it will not last forever. Unlike a song, painting, or film that can be restored his chalk art will eventually disappear from the elements. The image much like any living things existence is finite. This is why his art is so beautiful because it has a limited existence. The audience can experience the art as long as it survives the elements. They can take pictures interacting with the art and always have a memory of the amazing 3D image that they experienced on a random sidewalk while grabbing groceries, shopping, or sightseeing. This website provides a brief description of the type of art that Julian Beever creates on the sidewalks of countries across the world. An article written by Sarah Loat is included which provides personal commentary from Julian explaining the process of creating his illusions, and what inspires him to create his art. This is Julian Beever’s official website which contains all of his body of art including paintings, sidewalk art, and wall murals. This website is dedicated to showcasing Julian’s amazing artwork and contains contact information, publisher’s website, and a few self-portraits that may not be as readily accessible to the general public. This article provides a more in depth description of how Julian creates his 3D imagery chalk drawings. 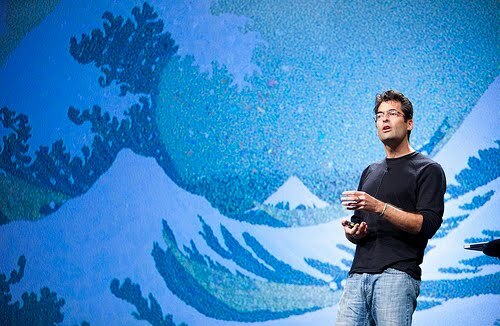 It includes imagery from a camera team that captures the various steps Julian takes to create his images, and how the images progress over a three day span.